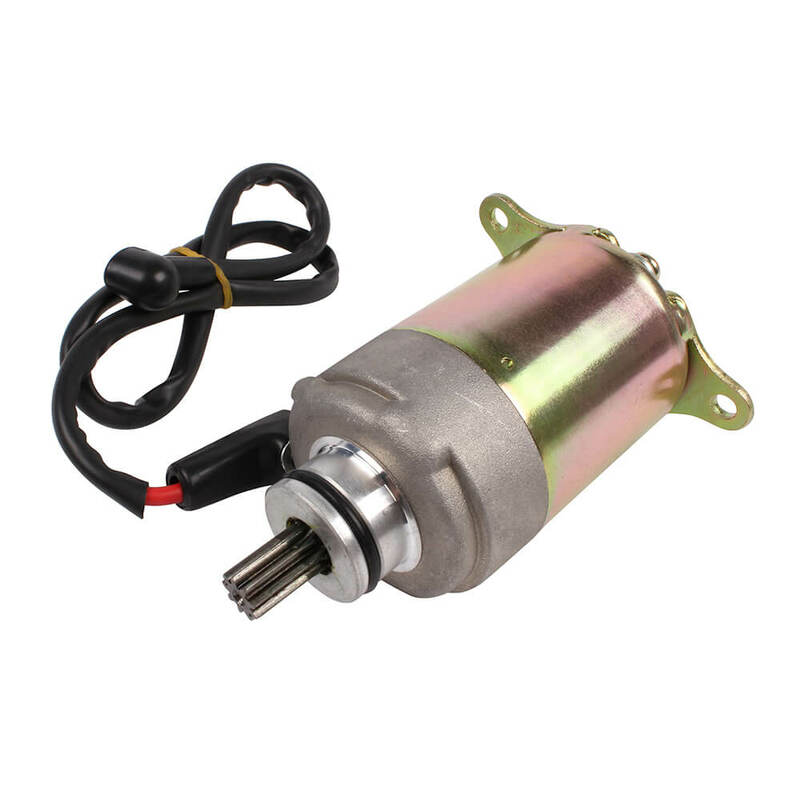 Starter motor for GY6 125-150cc engines. Requires two bolts (1100-1132) sold separately. High quality replacement part for Chinese engines.